Do 'smart' schools play chess? Here is Game 3 from the Anand - Gelfand World Championship Playoff. The live broadcast froze during the game, meaning that the final moves (from move 42 on) were missing from the tournament website. It is fair to say that the Championship turned on this game, as by missing 26.Nxe4 Gelfand threw away his best change at winning the title. Viswanathan Anand has retained his World Championship title after beating Boris Gelfand in the first round of tie-break matches today. After the main match was tied at 6-6, the players returned to play an additional 4 games of rapidplay (G25m+10s). After the first game game was drawn, Anand managed to win with his extra pawn in game 2, although Gelfand missed a draw towards the end. Game 3 was the most dramatic (and the one that is currently missing from the official web site), as Gelfand built up a winning position, but then failed to convert as he ran short of time. Anand needed only to draw the final game to win the match, and despite being slightly worse out of the opening, managed to keep the Gelfand at bay for the entire game. Overall the match didn't deliver the excitement that people had hoped for. While Gelfand probably surprised most people with his play, it is also fair to say that is was a match he lost, rather than Anand won. Game 8 in the main match helped Anand quickly recover from his loss in the previous game, while Game 3 in the rapidplay was obviously the final nail in the coffin for Gelfand. As for my pre-match prediction I was way off, as I thought Anand would just be too good. However once the draws started to pile up, it became clear that neither player was willing to risk too much, and it became a match of 'nerves'. In the end Anand's nerves held out longer than Gelfand's, which was all it took. As I've remarked before, treating education as a marketable commodity is something that does not appeal to me. Nonetheless the reality is that it does happen, and schools attempt to attract students by advertising their worth. I've often see schools use chess imagery as part of their advertising material, which at least puts chess in the public eye, although there is also a problem with this. The same schools that put chess in their advertising material are often missing from actual school chess events, as chess "isn't a priority". A recent study from Italy may at least provide a way of encouraging these schools to have a look at their "priorities". The study took 2000 students in the 8 to 9 year age group, and looked at whether chess lessons also improved the students maths skills. The actual study has just been presented at a conference in Turin (yesterday I believe), and I'm assuming that there was a positive result (as 'This idea was a failure' papers are a lot rarer). A fuller description of the study can be found here, as well as links to related information. The final (regular) game of the 2012 World Championship is underway, and I suspect the post mortems are already underway. Not so much about the result, but about the format. In the live commentary box, Vladimir Kramnik has made a number of suggestions in this regard, some of which I agree with, and some that may require more thought. Kramnik suggested a 14 game match, instead of 12, although I do not think that goes far enough. In my opinion one of the main reasons for so many draws is that both sided opening preparation has been fairly matched. However, in a longer match (at least 16 games and preferably 24), there would be more opportunity to find a flaw in the opponents repertoire which would result in a wider choice of openings, at least in the second half. The other obvious reason for a longer match is that the players may be more inclined to take risks, knowing that there is more time to recover from a loss. One local player suggested to me last week that giving black 2 points for a win would also encourage the players to take risks, but I'm not sure it has quite come to that. The other issue is the players actually taking part. I'm not criticising either player, or their play, but in the back of their mind their may be thoughts concerning what the match represents. On the one hand it is for the World Championship, but on the other, it isn't a match to decide the best player in the world. This realisation may have taken the edge off the contest, as the match seems to have the feel of an exhibition, rather than a bitterly fought contest. Of course this is all just speculation on my part, and the players themselves may tell a different story. The test of this may well be in the position that the players have now reached (around move 22). According to the commentators White has a small edge, and Anand of a previous age would very well try and push for a win. Having just typed the previous paragraph, Anand offered a draw, which was of course accepted. So it looks as though both players are happy to go to rapidplay, which raises issues about what the match was really about. 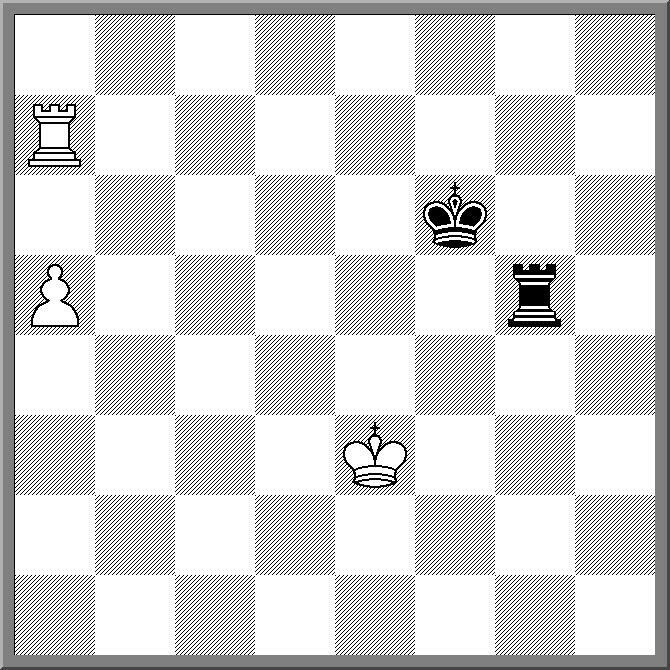 Some of you may have seen this one before, but White to play and Mate in 4. (Composed by Lord Dunsany, although I sourced it from Origami, Eleusis and the Soma Cube by Martin Gardner, which was a very recent purchase. I suspect I may have published a similar puzzle in one of my Xmas quizzes, or even put it up here at some point). Game 11 of the 2012 World Championship has just been drawn. The main point of interest was Gelfand's clock management, as in the final position he had around 15 minutes to play 15 moves. Nonetheless Anand decided not to play on his opponents time trouble, and offered a draw. This means that Anand takes the White pieces into the final game, which should give him a slight edge. However Anand has been unable to find any holes in Gelfand's opening preparation ( including game 8), so having the first move may lead to nothing more than equality. If Game 12 (which will be held on Monday) is drawn, then it is off to the playoffs to decide the match. The Correspondence Chess League of Australia (CCLA) has moved its website to a new address. It is now at www.ccla.net.au. I've updated the link to the left to reflect this. I had wanted to write the above headline a couple of days ago,but Gelfand spoiled it by beating Anand in Game 7. Fortunately Anand was able to level the scores in the next game, but it isn't as funny a joke as if we had got to this point with only drawn games to show. But 4-4 is now 5-5, which at least means we will be seeing the full 12 games. In terms of position (to borrow a Poker phrase), Gelfand has an advantage in playing White in the next game. It gives him a marginally better chance of victory, and a lead going into the final game. In fact I think Gelfand has to win Game 11 to have any chance of winning the match, as I suspect we may see a repeat of Anand - Topalov if the match is tied at 5.5. While Anand has been in this situation a couple of times, seeing the World Championship Title within his grasp may provoke a brain explosion from Gelfand. As for games 9&10 they were interesting in a way, without being enthralling. Game 9 saw a Q v R+N ending which was defended fairly easily by Anand, while an interesting opening in Game 10 quickly petered out to a draw. BTW If you want another take on this match (without it being too different from my own piece of poetry from a few days back), check out David Smerdon's column at Chessvibes. Even the comments are interesting, if a little combative. A number of years ago I had a strange experience while driving back to Canberra after a weekends chess in Sydney. 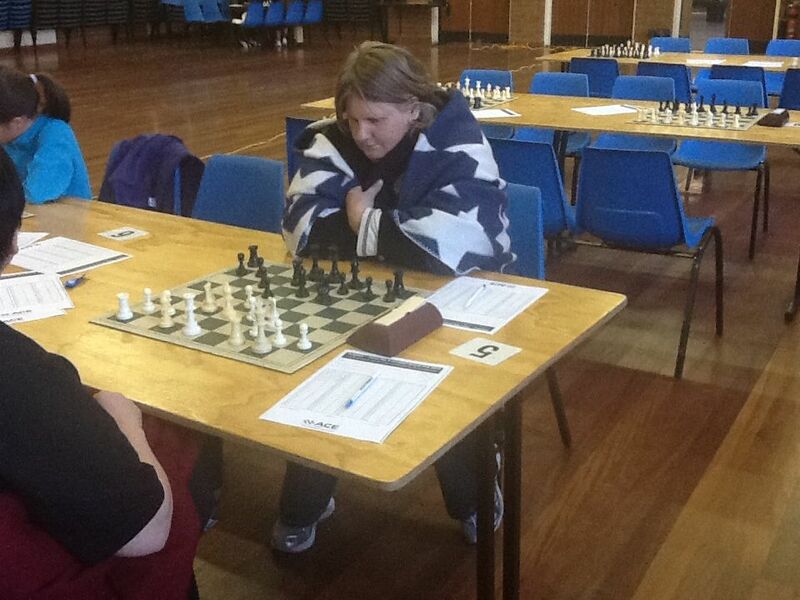 I had a couple of junior players travelling with me, and to pass the time we decided to play some blindfold chess. The game was going along quite nicely until I realised I was travelling down an unfamiliar part of the highway. I was so engrossed in the game that I missed the turn off to Canberra just past Goulburn, and was no heading on the road to Melbourne. Fortunately there was a turn off further on, and extra fortunately, by taking the alternate route, we avoided long delays caused by an accident on the Federal Highway. The obvious conclusion to draw was that while I was still able to pilot the car safely, I wasn't able to make higher level decisions, such as working out where I was going. Apparently this is similar to trying to drive with alcohol in your system. 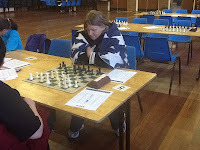 Every now and then a similar kind of behaviour re-appears, although not connected with blindfold chess. If I have had a particularly exciting or difficult game at the club, I often find myself analysing the game as I drive home. A couple of times I've had to stop myself from doing it, in case I do something stupid like drive through a red light. It happened again last evening after I managed to save a dead lost position at the ANU club. My opponent Adrian de Noskoswki found a nice tactic which won material, and running short of time I began to play some suspect moves. We then both missed a rook check which would have won the house for him, and in my time trouble he began to go astray. When he put his rook offside I began to create saving chances, and as it turned it I had just enough tempi to salvage half a point (with 20 seconds left I was happy enough with that btw). Not a perfect game, but one with enough twists and turns to put me over the limit if the police decided to test how much of my brain was being used to control my car! To borrow from the video game world, what about cheevo's in chess? For those unfamiliar with the term a 'cheevo' or 'game achievement' is a reward you get for completing a task or reaching a goal, as part of your normal gameplay. The idea behind the cheevo is to extend the playability of the game beyond the normal 'well I completed it on epic level, so now what?' stage. Players are motivated to play the game multiple times to collect cheevo's, even if they have solved the main storyline. It isn't quite the 100th anniversary of the founding of Canberra, (that is next year), but tomorrow is the centenary of the announcement of the winning design for Canberra. The winner was Walter Burley Griffin, assisted by his wife Marion Mahony Griffin. As someone who has lived in Canberra most of his life, I have always appreciated the layout of the city, as well as the artistry of Burley Griffin's initial design. If you want to have a look at the original design, as well as some history behind the competition to design Canberra, then this link will help you. Clearly I managed to aggravate the internet gods. My family and I decided to play a few boardgames after dinner this evening, as opposed to heading our separate ways and play various games on the net. Clearly this displeased the internet, as my router decided to misbehave. Trying to a do a quick fix backfired as all I did was lose all my settings, resulting in a much longer fix. By the time I managed to dig up a backup file and set everything right, other things seemed to have occurred in the chess world. It turns out I missed the entire Game 8 of the current World Championship Match. When I clicked on the tournament website, the museum documentary was already playing, and Anand - Gelfand 1-0 was staring out of the screen at me. Looks like Gelfand did what most of us do at some time or other, and thought that a bad idea is actually a good one. The problem with this is that a sufficiently motivated opponent doesn't agree with your assessment, and you get drastically punished. Not much else to say except that Anand would be feeling a whole lot better than he did yesterday. The "Mars Bars per week" unit of cost was first described to me by FM Craig Laird. It was as part of a discussion concerning how much we should pay to play chess or become members of chess clubs or associations. No matter how much membership of an organisation was, and more importantly, no matter how many people were willing to pay this amount, there was always an argument that it was too much for a small subset of potential members. The "Mars Bar per week" was an attempt to show how trivially small the amounts people were arguing over really wall. I'm revisiting this concept for two reasons. Firstly I finally made the effort to find out what the current costs of a Mars Bar is (I normally avoid them under doctors orders). It is $2.40 at my local Service Station. The second is that the issue of club+state association membership is being discussed in my local parish. Recently most ACT Chess clubs have had a good growth in membership, especially the previously struggling Canberra Chess Club. In the last year and a half they have doubled their usual tournament numbers. The concern is that attempting to collect ACTCA membership fees on top of club membership fees may drive some of the newer players away. But as the ACTCA membership fee is a maximum of $25, this is an odd concern. It is simply a fifth of a Mars Bar per week. For now the ACTCA is working out the best way to deal with this situation, but still I wonder what it is about chess that leads to situations like this. I've posted in the past about the risk of playing chess outdoors in Canberra. OK in summer, evil in winter, while autumn and spring can be a bit of a trap. And so it turned out today with Street Chess numbers down by 50% from last week. I suspect it wasn't so much the temperature during the day, as much as the run of below zero overnight minimums that made getting out of bed an unattractive proposition. But spare a thought for the players in the ACT Women's and Girls Championship. While the tournament venue is a nice one, and appreciated by the organisers, it does not get heated on weekends. So various methods of keeping warm are utilised. The school gymnasium was littered with heaters, and if they did not reach the boards, then at least one enterprising pairing moved themselves to where the heaters were. The other approach was to dress warmly, and then add some layers on to that. The picture above demonstrates this method! The 2012 Asian Nations Cup began today in China. I suspect both the Open and Women's sections were smaller than the organisers would have hoped, with 14 team in the means and 10 in the Womens. While China, India and and Vietnam are present in the Open section a couple of other strong countries (Phillipines, Australia) are missing. I suspect a combination of reasonably short notice (countries were only sent invitations on the 13th of March), and the closeness of the Olympiad had a lot to do with the size of the field. PNG attempted to get a team together, but with such a small pool of players to call upon, it was either this, or the more important Olympiad. However I am surprised that some larger countries do not plan for this as a regular event, and have an Olympiad II team on tap to take part. It would provide an ideal opportunity for players who are just below Olympiad level (or miss out on selection) to take part in an event that would prepare them if they do move up to the next level. Of course this does mean a sacrifice in time and money, but on the other hand, it is reasonably strong competition, and the organisers do provide board and lodging. The 2012 World Championship Match between Viswanathan Anand and Boris Gelfand is tied 2-2, after games 3 & 4 were drawn. Of the 4 drawn games played so far, game 3 is probably the most interesting, given Anand's choice of 3.f3 as an anti-Gruenfeld system. Of course Gelfand could have transposed into a Kings Indian but stuck with 3. ... d5. With Anand then trying a bit of a hack down the h file, the game had a degree of excitement for most of it's duration. However an inaccurate move from Anand while short of time allowed Gelfand to reach a drawn position, with two rooks on the 7th rank. Game 4 was a little more familiar, with Gelfand not getting much against Anand's Semi-Slav system, and once again a liquidated centre followed by the exchange of most of the pieces resulted in another draw. The ACT Women's and Girls Championship is on this coming weekend. It is a 6 (or possibly 7) round event held on the 19th and 20th of May. It is being held at Campbell High School, Trealor Cres, Campbell, and registration is from 9:30 am on the 19th. If you cannot make it for the entire weekend you can take up to 2 half point byes (but not for the final round). The time limit is G/60m + 10s per move and WIM Emma Guo is the tournament arbiter. Entry fee is $30 ($40 for non ACTCA/ACTJCL members). This event has always been a popular one, especially for the junior players. However, if you are over the age of 18, don't feel apprehensive about giving it a go, as the juniors will probably be more scared of you than you of them! WGM Irine Sukandar was the surprise winner of the 2012 Asian Continental Women's Championship which has just finished in Ho Chi Min City, Vietnam. She started the event seeded 19th, but managed to hang on to the lead until a loss in the second last round put her half a point behind Mary Ann Gomes. However Gomes lost her final round game while Sukandar scored the point she need to finish outright first, on 7/9. While looking through the Chess Today collection of games from April I came across yet another 'castling with check' game. As with most games of this type, White was already on the rampage when castling took place, and Black only played 1 more move before resigning. I had though of making this the minature of the month for April btw, but then noticed it was played on the last day of March. In other news, it is a rest day in the World Championship Match, and the draw I predicted part way through last nights game occurred soon after I drifted off to sleep. Based on the first two games I am tempted to modify my prediction concerning the result (but not the winner) down to Anand winning with +2 rather than +3. A few more draws and I may be forced to squeeze the margin even further. Game 1 of the 2012 World Championship Match was not quite Karpov's "We were just testing the equipment"* but it might not have been far off. As I mentioned last night, Anand gave Gelfand a surprise in the opening, which caused Gelfand to sink into thought. However he avoided the land mines in the position and in fact seemed to have quite a comfortable position (two bishops, outside passer). So it was a little surprising that the players split the point while still in the middlegame. Hopefully this was an exception rather than the rule, as I would hate to see the match essentially become a battle of opening prep, where the players try for an advantage early on, but then sue for peace if nothing works. But looking at Game 2 which is progress, I suspect another draw is not far away. The entire centre has been liquidated, and pieces are coming off. It may take a willingness to return to 1.e4 before the match really comes to life. The first game of the 2012 World Championship match between Viswanathan Anand and Boris Gelfand is still going on as I type this. It opened with a very sharp line of the Gruenfeld, a line that had at least one interesting effect. In the Jpanase game of Go there is a story about the 'Ear-Reddening Move'. It concerned a game between master players Shusaku and Gennan. During the game Shusaku played a move of such power that Gennan's ears began to turn red after he realised the strength of his opponents position. A similar effect seemed to occur soon after the start of the Anand Gelfand game. The opening moves were 1.d4 Nf6 2.c4 g6 3.Nc3 d5 4.Nf3 Bg7 5.cxd Nxd5 6.e4 Nxc3 7.bxc3 c5 8.Bb5+ Nc6 Now Anand paused for a moment and then played 9.d5 Gelfand looked at the position for a while, and then his face turned bright red. Realising he could not take on c3, Gelfand eventually found 9. ... Qa5 and his face returned to a more natural colour. In what wasn't a huge surprise to the bookmakers, Wood Green Hilsmark I finished a clear first in the 2011-2012 4NCL. They won all 7 of their matches, and finished on 14 match points, 5 points clear of second place Guildford I. In third place was White Rose, the Yorkshire based team, managed by PBG Olympiad player FM Rupert Jones. The is was a particularly good result for White Rose, and given that the 3 matches they lost all finished 3.5-4.5, means they were a lot closer to finishing first or second than the scoreboard might show. Apart from their third place finish, they also achieved the only GM norm of the competition, which was scored by IM Richard Palliser. The Anand - Gelfand match begins tomorrow, with the opening ceremony. While this is the official opening, the match doesn't really start until the first pawn (or knight) is pushed. This happens on the 11th of May, with the the first game beginning at 3pm Moscow time. For viewers in Australia this is a relatively gentle start time as it translates to 9pm Canberra time. The match will be played using the 2 days play, 1 day rest schedule, with game 12 scheduled for the 28th of May. As for who will win, I will go with the conventional opinion and pick Anand. I'm also willing to predict the match will not last the distance with Anand winning 6.5-3.5 (ie it will be all over by game 10). This game is kind of a followup to the "Insulting my opponent?" post from a couple of months back.Tonight I played a game where I managed to blunder on move 11, and had to surrender my queen for a piece and a rook (and it could have been even worse than that). In fact I thought about resigning around that point, but after playing a few automatic moves I hit upon a plan. Remembering the classic Nehzmetdinov v Chernikov game, I went for the plan of Bd4 followed by Nh3-f2-g4 with Nh6# a threat. Fortunately for me my opponent (who isn't rated that far below me), also played a few automatic moves, which allowed my plan to get going. While I didn't get the mate I was looking for, I did manage to win back enough material to make it interesting. But just when I had done that I played another bad move ( 29.e5) and found 29 ... Qc6 quite dangerous. So much so I then had to make a second escape with 30.Bc4 which was just enough to reach a drawn position. By this stage I decided my luck was all used up and offered my opponent a draw a few moves later. The recently completed selections for the Australian Olympiad Team have resulted in a fair bit of comment on one of the local bulletin boards. The major point of debate seems to be the low ranking of IM Gary Lane on the Open team (10th of 10), and the ranking of Biljana Dekic on the Women's team (ranked 6). Now while I personally think Gary Lane should not have been ranked so low (1 loss in 18 games at the Doeberl/SIO against very strong fields should mean something), I also understand that selections can be a difficult exercise (As an aside, I was briefly a selector in Australia, until some noticed I was registered with PNG and ratted me out to the ACF). In fact the selection mechanism used by the ACF is as much to blame for the debate as anything, as each selector (there are 5) simply rank players from 1 to n, and the player with the lowest total is No.1, the next lowest is No. 2 etc The two problems with this system is firstly a player might be ranked at 5 by 4 selectors and 10 by another, and finish behind a player ranked 6-6-6-6-5. Secondly, as this ranking also determines board order, the option to reorganise the order of the team to maximise potential results is not available. In the specific case of this years selections, there is no indication about how close each player was to the one above him (or her), so ranking may have simply been the case of finishing down 1 or 2 votes at most. Of course there are other ways to get to the Olympiad. In my case, being born in another country was a stroke of fortune I still thank my parents for. But if that option is not available, applying for the position of team captain might help. In Gary's case, his theoretical knowledge in the opening would probably be an asset for the selected members. (NB This observation also applies to the 2010 Captain FM Manuel Weeks). The other option is to be appointed as a countries FIDE delegate. Of course you have to attend meetings and such, but at least you still get to be involved in some way. In Australia's case the FIDE delegates position is re-appointed every year, by the ACF after the 1st of July. There is also provision in the ACF budget to cover travel expenses (a recent change in policy), making this route even more attractive. The only difficulty I see with this one is that the ACF seems fairly reticent about advertising this position. Of course this does not mean they are not accepting applications, so it might be worthwhile contacting the ACF Secretary to find out if they are. The diagrammed position was mentioned to me by GM Nigel Short in the context of how strong GM's play open swiss events. I offered the opinion that given the variable strength of the opposition, it should generally be a matter of playing comfortable openings, and rely on technique to bring home the point. While he basically agreed with me, he did say that it wasn't just his technique that was important. The position came from his round 8 game in the 2012 Bangkok Open. Needing to win the stay in first place he reached this ending against GM Farrukh Amonatov. 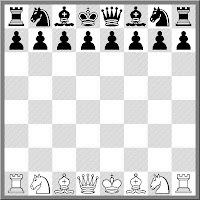 In similar positions the basic idea for Black is to place the king on g7 and at the right moment bring the rook to f3 so it can then keep checking the White king from the side. However it turns out this was not one of those positions. 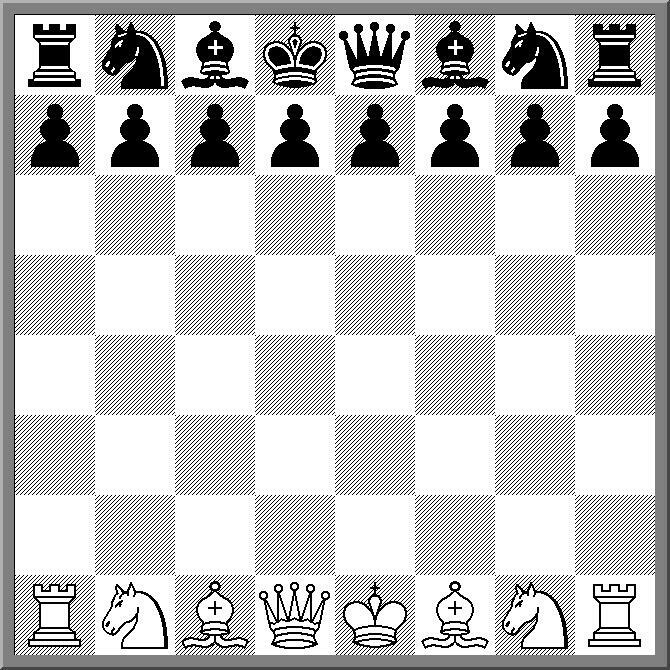 Instead this position is already drawn, as long as Black can find the *only* move in the position. After 69.a6 the only move is 69. ... Rd5! (according to Tablebase. I did not work this one out myself). Instead Black tried the familiar approach of 69.Ra5 and after that Short found every winning move in the position. I do feel sorry for Black, especially as any ending of this type that I would be involved it would be a cavalcade of errors. He did at least try and play the position according to the right plan, it just turned out that this was one of those positions where the general plan failed. But of course this is one of the differences between being a GM, and being a 2700 rated GM. Having the correct technique, but knowing when it isn't correct. The diagrammed position comes from the detective novel "The Bishop Murder Case" by S.S Van Dine. 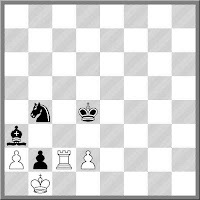 In the position it is Black to play and mate. Now apart from its literary interest, it may also have a legal one. 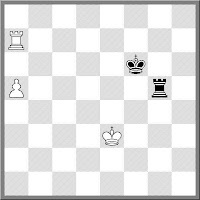 Over the years there have been various proposals to eliminate wins on time that rely on 'trick' mates, ie checkmates that require the suicidal co-operation of the opponent. One idea is to only allow mates than can be forced without the help of your opponents pieces or pawns (ie KQ or KR are good, but KB or KN are out). So going back to the diagram. After 1. ... Nxc2 2.Kxc2 b1=Q+ 3.Kxb1 should White be able to claim a draw here, or suffer the supposed injustice of 3. ... Kd3 4.Ka1 Kc2 5.d3 Bb2#? If you are looking for live coverage of a big chess tournament, and at a time that won't keep you up all hours of the night, then the 2012 Asian Continental Championship might be for you. It started today (with the opening ceremony) in Ho Chi Min City, Vietnam, and runs until the 12th of May. The first two rounds are tomorrow, with the first round starting at 9am local time (Midday Canberra time). I'm assuming that the tournament website will have live coverage, but Chessdom is also promising their own coverage here. The tournament looks very strong, and there is around $60,000 in prizes. I did a quick check and could not spot an Australian representative (and no one from PNG accepted their invitation), so the Oceania region looks under-represented. The tournament has a mixture of single round and double round days, and interestingly, requests all players to either wear their countries official sporting uniform, or at least clothing with their countries flag on it. No necessarily a bad idea, and something I will look into organising for the PNG team at the Olympiad. Normally this feature is titled "Miniature of the Month" but today's game seems more than that. Maybe it was the difference in rating, or maybe Turov has an intense dislike of the Dutch Defence, but his attempt at tearing it to bits started on move 3. But it turns out that 3.h4 isn't such an outlandish move, as White seems to score pretty well in most lines (>80% by the time they get to move 9). Once the Queen gets to h5 Black has a very difficult time in organising a defence. Possibly 10. ... Qe7 is Black's last hope, as after that it is all one way traffic. While doing a little bit of research for the upcoming Anand v Gelfand World Championship Match, I discovered a little bit of 'ambush marketing' surrounding the event. Not remembering the address of the official website I simply type 'Anand Gelfand' into my search engine, and clicked on the very top link. This sent me to a website that seemed to cover the match, but yet, did not quite look right. It seemed a little 'slapped together' and where the sponsors logos should have gone, were instead advertisements for brain training software. But the big give away was the 'buy this domain + site' link at the very bottom of the page. Not something you expect from the official website. Obviously my suspicions were correct as a little more digging found the official website. It is http://moscow2012.fide.com/en/ and actually does look like a proper championship website. There are still 8 days to go before the Match begins btw, but when it does, you will know which website to visit! Australia does not do a good job of hosting official Asian events. Apart from the Oceania Zonals it has been a long time since an Asian Continental event was held in this country. However next month sees not one, but two such events, to held in Parramatta, NSW. The Oceania Chess Confederation is organising the 2012 Asian Seniors Championship, and the 2012 Asian Amateurs Championship. The Seniors is open to players born before 1/1/1958 (Male) and 1/1/1963 (Female). It will be a 9 round swiss with $7000 in total prizes. Running along side it with be the Asian Amateurs Championship. This is open to all players who have been rated under 2100 for at least the past 2 years, and do not have a title of FM/WFM or above. It is also a 9 round swiss, and has a prize fund of $7000. Both tournaments start on the 2nd June and finish on the 7th. This fits in nicely with the 2012 NSW Open, which then begins on the 9th June. Entries for both events close in two weeks (14 May), as all entrants must be approved by their respective national federations (even Australian players). Assuming the other criteria is met, both tournaments normally award FIDE titles for the winners.